ExpressionEngine Community Association - CTRL+CLICK CAST - We inspect the web for you! Your browser doesn't support HTML5 audio, and won't play ExpressionEngine Community Association with TJ Draper. You can download this episode to play on your preferred media device, or you can read our transcript. The ExpressionEngine Community Association helped organize the last couple of EE Conferences — what else is in its future? EECA president TJ Draper explains their dreams for the EE community, advocating for education, as well as its overarching goals. Tune in for details on how you can get involved, too! Preview: For me, that’s why the education is such a huge angle. I want to help others who may be in the position that I was when I started with ExpressionEngine, and I really want to get that content and material out there. Lea Alcantara: Today’s episode is sponsored by EEHarbor, the largest third-party add-on developer for ExpressionEngine. Whether you’re upgrading an old site or building a new one, EEHarbor’s add-ons make your life easier and your development faster. Need help upgrading your site? EEHarbor offers upgrade services for individuals and agencies! 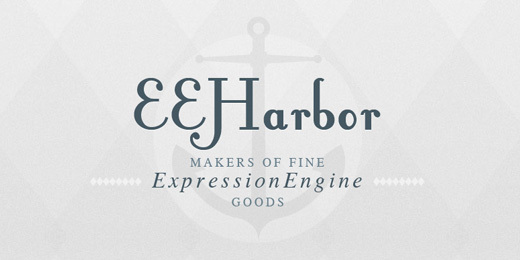 Visit EEHarbor.com to learn more. Emily Lewis: Today we’re going to learn about the newly-formed ExpressionEngine Community Association from board member, TJ Draper. In addition to serving as president for EECA, TJ runs his own business, Buzzing Pixel, where he makes cool things for the web. Welcome to the show, TJ. TJ Draper: It’s great to be here. TJ Draper: Oh, let’s see, a bit about me. I live in the Nashville area in Tennessee with my wife and four kids and our one cat, and I develop websites, and it’s pretty much what I do all day long, and when I do something that’s not watching TV, I’m developing websites. So I don’t even have any other hobbies! Emily Lewis: How did you get started working on the web in the first place, TJ? TJ Draper: Oh, boy, well, so back around 2006, I was working at a small film company. I didn’t know what I wanted to do with my life, and I was working at a small film company and they’ve had a website developed to sell the small films. It was very independent in operation, and then that was it, the developer went away and somebody had to take care of the website, and it was built on ExpressionEngine 1, and I had no idea what this thing was. I barely even knew what WordPress was, and it fell to me. I was kind of the wear all the hats in the company, and boy, I got thrown into that fire. It was an e-commerce site, and yeah, it was crazy. Emily Lewis: So let’s turn our focus to this new ExpressionEngine Community Association (EECA). It was announced at EE Conf last year. What is it? What are the goals? TJ Draper: What are the goals? Well, I mean, we all love and use ExpressionEngine, and you just heard my story about how I got into ExpressionEngine trial by fire, and we have through various iterations of the community, and I think the community went through a rough patch a few years ago and what’s left is kind of the – I don’t want to say sifting of the chaff because I still have many friends who left the EE community who are good friends, but there’s been a sifting of the community, so to speak, and so the EECA and its goals really are to foster community in what this new iteration of community looks like, and it happened to coincide with the open source release of ExpressionEngine, and I think there’s a great opportunity there for the community to grow, and so the goals are kind of to foster community to put on events like the ExpressionEngine Conference and to foster learning. Lea Alcantara: So with those lofty goals, how does your organization plan to achieve these goals? TJ Draper: [Laughs] Well, make no mistake, we’re still in the very early stages, and things don’t move quite as quickly as we would all like. Trust me, I’m right there with the rest of the community going, “What’s happening? What’s going on?” I mean, we’re figuring out what that looks like because we all have day jobs and we’re all trying to feed our families and put food on the table in addition to this work of love working with the EECA. So obviously, one of the big staples, I mean, this is kind of how the EECA got started, is with the ExpressionEngine Conference, and I’ve been involved with it for two years now, this will be the third year, and I’ve loved every minute of it, and that’s my favorite part of what the EECA is currently doing. So that’s one of the big ways that we’re accomplishing the goal, and we’ve been talking a little bit with EllisLab about how that will develop and move forward and that sort of thing so that’s obviously a big staple, but additionally, I mean, we’re looking at education. In what forms it’s going to take, whether it’s webinars or prerecorded online courses or that sort of thing, we’re still figuring out what that looks like. Emily Lewis: And is that something that the board is open to community input from in terms of what that form should be, like, for example, the education? TJ Draper: Absolutely, 100%. In fact, there is the board and there are, I believe, seven of us right now on the board, but then we’ve also already started bringing in whether we’ve had people asked or we’ve actually asked someone to come and be a part of shaping this particular aspect of what we’re doing, and I know that’s definitely happening in the education area of what we’re doing. Emily Lewis: So if someone was interested in kind of giving you their feedback, how would they do that right now? TJ Draper: Well, we’re still forming the organization like in terms of the assets that the organization has like emails and things like that, so we’re all still emailing each other on our personal emails. So I would say right now that Slack is probably the best way, the ExpressionEngine Slack, and that’s where I communicate with most people in the community, and that’s really over the last couple of years, we’ve really seen the community form on Slack, like that’s where everybody is at. So right now, probably the best is to reach out to one of us. Most of us have (EECA) by our names so we’re fairly easy to find on Slack. Emily Lewis: Okay, we’ll make sure to include a link to that on our show notes. You know, you were talking a little bit about how the community has evolved through the years and I think anyone who’s been working with ExpressionEngine for a long time remembers some of those periods where the community felt disconnected from the software maker and the software, maybe uncertain about the future. So you mentioned that this coincided with open source, and that’s been about EE going open source. What is the goal for EECA to sort of bring this potentially new open source seeking community with an older community with also a community that maybe feels they’re not sure where things are going? TJ Draper: Yeah. I’m not quite sure what you’re looking for or how to answer that question. Community is sort of an amorphous, nebulous thing, like it evolves and it develops over time, and people come and people go, so I’m not quite sure how to get it at the heart of what you’re asking. Emily Lewis: I guess I’m just wondering there’s like a lot of different aspects to the EE community, especially now that open source is a factor, and I’m just wondering how those sort of different aspects will all kind of come under this EECA or if that’s the goal even. TJ Draper: I don’t even know that that’s the goal as much as it is just to have something for the community to rally around, and certainly, I think all of us that are on the board, certainly, and several who are involved who are not on the board, we have good relationships with the folks at EllisLab. I’m very good online friends with Derek (Jones) and I see him personally once a year at the conference, and so I know that I have his ear and I think as a community, as the association grows, we will definitely have influence and have the ear of the software makers, and they’ve been nothing but supportive of that effort. Lea Alcantara: So I’m curious then like what is the relationship, if there’s a formal relationship between EllisLab and EECA, like how closely are the two tied together, if at all? Emily Lewis: So I know that they’re not formally tied together, but does EllisLab have a representative on the board or someone who’s working with EECA so that they are part of it? TJ Draper: That is actually something that we’ve talked about. I don’t think they would be on the board, but it would be more of an advisory board. We’ve talked about it. We’re still working on the forming documents of how EECA is organized, and it has not been presented yet. One of our board members is working on that. So we’ll see how that pans out, but we’ve definitely talked about it and I think that would be really good for them to be on the advisory board to have influence there. Emily Lewis: And would there be like, maybe not a reverse of that, but does EECA, one of the things you’re considering doing is keeping EllisLab informed about what you’re hearing from community members? Emily Lewis: So that’s something that was kind of already in your minds, but you just haven’t figured out what form it might take. TJ Draper: That’s correct, and like I said, this is still very early days for EECA. TJ Draper: So we’re figuring out exactly what it looks like. Emily Lewis: So this is sort of a weird question, but is there any kind of limits to how EECA represents the community? Can you say something negative about ExpressionEngine? TJ Draper: The association, and I myself, have never been put under any stipulations of what we may or may not say about EllisLab or ExpressionEngine. That has never been a conversation that has happened. I am a multi-CMS user. I don’t just use ExpressionEngine. There are other systems out there. Sometimes I build Greenfield projects that entirely are without CMS, and so I have stepped on dangerous territory a couple of times by accident where something came up about a software that I was using that wasn’t ExpressionEngine and it was fine. It was totally fine and Derek just laughed at me and said, “You know, ExpressionEngine could do this and that,” and so we had a fun time with that, but I’ve never felt any stipulations about what I may or may not say. Obviously, I’m not a representative of EllisLab and we have no formal relationship other than we’re all friendly. TJ Draper: So yeah, none of that stipulation has ever happened, and then that being said, I’ve learned over the years, it’s best to build bridges and not burn them down. I would learn that very painfully when I was younger. I think most of us go through this phase on the internet when we’re younger where we’re very opinionated. TJ Draper: And we tell people those opinions in ways that are not very conducive to conversation and may, in fact, lose us friends. TJ Draper: And I’ve learned many years ago to stop doing that, and I still fail, but, you know, I don’t know if that answers your questions exactly, but that’s kind of where I’m at. Lea Alcantara: That sort of seems to me like a good reason we create a community association is to like foster the positive conversation and positive connections, but I’m really curious if there is like the phrase like “building community” is kind of a general phrase. Lea Alcantara: Is there something more specific that you guys as a collective want to for the community? Obviously, getting everyone more educated, that’s great, but like why? What is the big why for all of this? TJ Draper: Well, the why for me and the reason I’m super interested in education is when I got into developing that first website with ExpressionEngine, and even as I started my career in web development and just figuring stuff out with ExpressionEngine, it was extremely difficult, and I totally get this because I’m a developer and I can’t write good documentation, and in fact, ExpressionEngine’s documentation is way better than I could write for it, but like the documentation sometimes didn’t help me, and some of that is not even expressly EllisLab’s fault as much as it is it’s not the way I learn, I learn by doing, and so if there are examples out there, if there’s code I can paste and then manipulate and start figuring out like what that looks like, but sort of thing just didn’t exist very much back in the ExpressionEngine 1 days and even into ExpressionEngine 2, there was a dearth of information, and we’re dealing with a CMS that I think ExpressionEngine is wonderful, but let’s be honest, it has like one or two percent market share, so people just don’t do like what they do with WordPress where they put all that information out there and you can Google and find half a dozen ways to do something that often doesn’t exist for ExpressionEngine, and so for me, that’s why the education is such a huge angle. It’s I want to help others who maybe in the position that I was when I started with ExpressionEngine, and I really want to get that content and material out there. Emily Lewis: Yeah. It’s interesting because I feel like with EE, the community support has always been there. I feel like the diehard EE devs that have been using it from the beginning have always been super helpful and available to offer their advice on what to do, and that in itself has sort of evolved. The forums were huge for a while and then Stack Exchange was really big for a while, and now kind of what EECA might do might become what’s going to be the new standard for how we educate and share ideas about EE. Is this also because you want to see EE grow? Obviously, you’re supporting community with education, but you’re also supporting the software itself? TJ Draper: So any competition we can put in there to help ExpressionEngine grow and EllisLab grow I see as a plus, you know? TJ Draper: I think all of us who have the experience, we’re trying to bid on a job. This happens for me less frequently as I have moved into more custom/very custom stuff, but like in the early days when I was bidding on a job, they’d say, “Well, it has to be built in WordPress because WordPress does all the SEOs and all that stuff.” So it’s like the more we can make inroads to say, “You know what, WordPress is a fine alternative. There are developers out there who could do that, but what we do is just as valid.” I am all for building that. Emily Lewis: And I guess it sounds like to me that you also feel like that’s going to also support your business. TJ Draper: Like I see that as a huge net positive. Lea Alcantara: So do you think that as part of the education component, beyond just here’s how you do XYZ in EE, would there be a component of education how to sell EE, especially since the board is made up of a lot of independent agency owners? TJ Draper: Yeah. I think there’s plenty of room for that, and unfortunately, because I had to meet with somebody about some things, organizing the conference and various things like that, I wasn’t able to be in that talk, but Lydia Chiu gave a wonderful presentation on how to sell ExpressionEngine at ExpressionEngine Conference, and I heard a lot of great things about that, and I think there’s plenty of room for that sort of content within the EECA education arm. Emily Lewis: So TJ, you mentioned that education is a personal passion of yours. Is that the primary driver of actually becoming the EECA president or are you already in your local community as an organizer? Is this a new role for you to do? TJ Draper: This is a new role. I am a very typical introverted developer. TJ Draper: And I know that it’s good for me to get out in the community, and so I’ve tried in various ways to do that and to expand my growth personally in that way. But becoming the president of an association is a new opportunity for me now. Since then, I actually have started, I was handed the reins of a local lunch meetup for general development, not ExpressionEngine. TJ Draper: And she became the first president of the EECA, and I’m very grateful for what she did, but then her career is moving in a different direction and after organizing two conferences in a row, she was pretty burned out, I believe, is the correct thing to say there. Lea Alcantara: So I’m a little bit curious, this isn’t really a 100% related to the EECA stuff, but it’s very ambitious, all the goals and things that you want to deal with, and of course, running an event is super difficult. Do you have any thoughts on avoid that type of burnout that Susan went through? TJ Draper: Yes, I do. And again, we’re still forming what the organization looks like, but I don’t think that we should be the same people doing it all the time. TJ Draper: And so in order to prevent that, I probably need to step back next year and let somebody else do it and watch from afar, and that’s not to say I won’t be involved again, but like we’re still figuring out what that looks like, but I think that a big component is preventing ourselves from burning out in just that way. Emily Lewis: So you mentioned there, I think you said seven members on the board. TJ Draper: I think that’s where we’re at right now, yes, but don’t quote me on that. TJ Draper: Don’t hold me to that. Emily Lewis: What does that board do? TJ Draper: Well, right now, as I keep alluding to, we’re figuring out what the organization does and what it looks like. TJ Draper: That’s what we’re doing. We’re in the process of legal stuff like who knew running a nonprofit organization required so much little details, and so we have a treasurer, we have a secretary, we have a president, and then we have people who head up committees, figuring out what the organization looks like, and when you get ready to file your paperwork, you realize, “Oh, no, we can’t file our nonprofit paperwork yet because we don’t have X, and it goes back to the committee and we got to form those documents and that sort of thing. Emily Lewis: And in terms of – I was on the website, and then you’re still not quite accepting members yet. Do you have a timeline for when you’re going to accept people to join the EECA? TJ Draper: We have nothing to announce yet. We are working very hard on that. That is a top priority. Trust me, that is a top priority, and so we can’t tell you when because like I just said, we’re just getting things come up, that it’s like, “We didn’t expect that. We didn’t expect that.” Because none of us, well, I think a couple of us have been on nonprofits, but I’ve never done a nonprofit, and so you’re like, “Oh, all these things, all these things.” But yes, it’s coming very soon. We’re working very hard on that. Emily Lewis: Do you have an idea of what membership looks like? Is it like a paid membership? Do you get certain benefits? Are there tiers? Or is that still not public? TJ Draper: There will be membership tiers. There will be levels that you can pay because I can tell you that running a conference and then doing all of this education stuff is not cheap. TJ Draper: And we definitely were scraping the bottom of the barrel last year at the end of the conference, and I just don’t know how people will turn a profit with a conference yet, and I fully acknowledge that our conference is pretty small and we’re hoping to grow it. So yeah, there will be tiers and at least that’s the last thing we talked about in the last meeting, and yeah. Lea Alcantara: So I understand that you’re obviously still kind of finalizing what those tiers are, but can you give a general idea of what the benefits of joining the community, becoming a member would be? TJ Draper: I’m not ready to announce anything about that yet because we’re still talking evidently. Lea Alcantara: Okay, fair enough. Lea Alcantara: Right now, it seems like the EECA is very US-centric. Is there any plan to expand to the rest of the world or address the perception it’s US-centric or is it US-centric? TJ Draper: Well, by default, it is US-centric because all of us who have started the association are in the US, and so it’s kind of US-centric just by default. It’s not something that we are holding it to the US, and in fact, I have many friends who are across the pond, as it were, and so we definitely want to expand that reach, and I would say the best way to make that happen is to get involved, you know? TJ Draper: Advocate for what you want in the country you want, and we do face some roadblocks and challenges just because all of us are from the US and then traveling overseas or doing stuff overseas just becomes very expensive. So if we start getting people involved from other countries, which I very much want to do, then it starts to become easier to make that happen. Emily Lewis: In terms of what’s coming up for this year, you guys are already organizing the ExpressionEngine Conference for 2019, is there anything you can talk about that might be new or different from previous events? TJ Draper: And so a lot of those that we called, it was a little too late for them to join the conference last year, but we’re hoping they’ll come this year, and they really had no idea, and I think outreach is a big thing that we’re going to try to focus on this year. TJ Draper: Because they were just like, “Oh yeah, I’ve used ExpressionEngine for years. I had no idea there was like a community we could get involved in,” and so just awareness and visibility is something that we really want to try to focus on this year. Emily Lewis: Just to get back a little bit to EllisLab, so is there any plan to coordinate with them on that sort of outreach communication? Because, obviously, as a business, as a commercial business, they want to get word out about their software. Is there any opportunity to collaborate on like a campaign with them or anything? TJ Draper: Yeah, absolutely, I think there is, and they already will send one or two emails about the conference out for us as they did the last two years that we’ve been organizing the conference, and they’ve been very amenable to that, and going back to the problem, I think the problem is a lot of people, it does go to one of their bulk spam folders or they’re just, “Oh, it’s an EllisLab newsletter, that’s great. I’ll just delete it.” So yes, they help to some extent, but whatever, yeah, they’ve been very amenable to helping us with that and that’s wonderful. Lea Alcantara: One thing that I noticed in the EE Conf Twitter that’s related to like as the conference, you guys have a golden ticket. Can you talk a little bit more about that and how that’s going? TJ Draper: Well, as I alluded to, putting on a conference is very expensive, and we’ve had some challenging times, and so one of the ideas that we came up with is to generate revenue a little earlier this year, and really, to just generate revenue in general to get the conference started because a lot of the conference organizing is a chicken and an egg problem where you’re like, “Okay, we need to sign contracts, but we don’t have money yet, and we don’t have money until we sell tickets, but we can’t sell tickets until we know where it’s at.” It’s like you got chicken and egg problems all over the place. TJ Draper: So one of the ideas that we came up with was, “Well, let’s see how many add-on developers we can get to donate to this golden ticket to sell at a certain and then the value of that ticket becomes much higher than the price, but because the add-on developers are donating these licenses, the money comes to us, and then we get to put on the conference. So that was the idea behind the golden ticket, and let me tell you, it’s a huge value. For the amount of money you’re spending, you get to come to the conference and you get these add-ons like it’s an amazing value. Lea Alcantara: Yeah, there are about forty add-ons that’s part of this golden ticket, including the actual 2-day conference pass. Emily Lewis: So I’ve noticed that both the EE Conf site and the EECA website have mailing lists. So is that the best way for folks to stay tuned about what’s coming as you guys finalize things? TJ Draper: Absolutely, and forgive me for not knowing the exact details. I do believe those are separate lists currently in MailChimp, and I think I’m saying this right, if you subscribe to the ExpressionEngine Conference newsletter, you’ll get much more conference-oriented news, and if you want more general information about the EECA, then subscribe on the EECA website, and we’re still figuring out what that looks like because, obviously, we started as a conference and now we’re figuring out how does the organization structure around the conference and that sort of thing, but that’s currently the way it stand as far as I remember. Lea Alcantara: Sounds good. So I’m curious now, I know that EECA is still in its infancy and you guys are still trying to figure it out. For our listeners who are excited about its potential and want to join or help support you guys, how can they get more involved, like what is the first step? TJ Draper: Well, definitely reach out and let us know your interest, like if you want to be involved in the community, and whatever that looks like, we’re still figuring out, but if you want to be involved in educating people or you want to be involved in various aspects of the EECA, definitely reach out. Like I don’t know that we’re able to accept more volunteers right now until we figure out what the structure is, but you will become part of the list and we will definitely figure out how to incorporate that. We’ve already got folks on the education committee. I think I mentioned this, but I don’t remember for sure. We’ve got folks in education committee who are either we reached out to them or they reached out to us, and there will be many more opportunities like that as we grow out of our onesies as an infant. Lea Alcantara: So what’s the best way to contact you guys? What’s the best way to reach out? Lea Alcantara: Sounds good. All right, so that’s all the time we have for today, but before we finish up, we’ve got our rapid fire ten question so our listeners can get to know you a bit better. Are you ready, TJ? TJ Draper: Oh, I’m nervous, but I think so. Lea Alcantara: Oh, this is fun. Lea Alcantara: First question, would you rather travel to the future or the past? TJ Draper: Leave the agency I was at a couple of years ago to go independent. TJ Draper: It’s very scary. Lea Alcantara: Who was your childhood celebrity crush? TJ Draper: Oh, this maybe a little embarrassing, you know? Lea Alcantara: Aren’t they always? TJ Draper: I’m going to have to go with Megan Follows, Anne of Green Gables. Lea Alcantara: Oh, I love her. Lea Alcantara: I love her, yes. TJ Draper: Oh, websites that ask to send notifications that have no reason to. TJ Draper: I use notifications all the time for Gmail and stuff, but like new sites? No, never. Don’t ask me that. TJ Draper: Or maybe Carousels. Maybe I should go with Carousels on websites when clients want Carousels. Lea Alcantara: What was your first website? TJ Draper: The first website I worked on? TJ Draper: Franklinfilms.com, but it no longer exists. Emily Lewis: What is your favorite time of day? TJ Draper: Oh, this is so cliché, but evening supper with my family. Lea Alcantara: What is your favorite place? TJ Draper: My wife and I recently last year took a trip to New York City for our anniversary and I love that city so much. TJ Draper: I’m going to go with that. Lea Alcantara: I love it too. TJ Draper: My favorite? I used thumbs up a lot. TJ Draper: But I’m going to have to go with in Slack , the crying emoji face that’s laughing. Lea Alcantara: Yeah, cool. What’s your favorite charity? TJ Draper: You know, when I was at the small film company, I had a chance to do a little bit of work with Steven Curtis Chapman on Show Hope. It’s an adoption ministry, and so I’m going to go with that. Emily Lewis: All right, last question, sweet or savory? TJ Draper: They’re both so good. TJ Draper: But I think sweet has a slight edge. Lea Alcantara: Very cool. So that’s all the time we have. Thanks for joining the show, TJ. TJ Draper: Thank you so much for having me. TJ Draper: Well, I sell ExpressionEngine and Craft add-ons on buzzingpixel.com, and that’s probably the best place to find my work, truly the only place right now, other than of course the EECA. Emily Lewis: Great. And we’ll make sure to have links to the EECA site and the EE Conference site in our show notes. Thank you so much for sharing some more details about the new community organization. I’m really excited to see how it goes. TJ Draper: Oh, me too. You were quite welcome. I was so glad to be able to join you. Lea Alcantara: CTRL+CLICK is produced by Bright Umbrella, a web services agency obsessed with happy clients! Today’s episode would not be possible without the support of our sponsor! Many thanks to EEHarbor as well as our hosting partner Arcustech. Emily Lewis: If you want to know more about CTRL+CLICK, make sure you follow us on Twitter and Instagram at “ctrlclickcast,” or visit our website ctrlclickcast.com. Lea Alcantara: And if you liked this episode, become a patron so we can create more content you love — visit patreon.com/ctrlclickcast for more info. We can also use your reviews on Stitcher or Apple Podcasts or both — links are in our show notes! Emily Lewis: Don’t forget to tune in to our next episode. We will be talking with Carrie Hane about content strategy. Be sure to check out ctrlclickcast.com/upcoming for more topics.